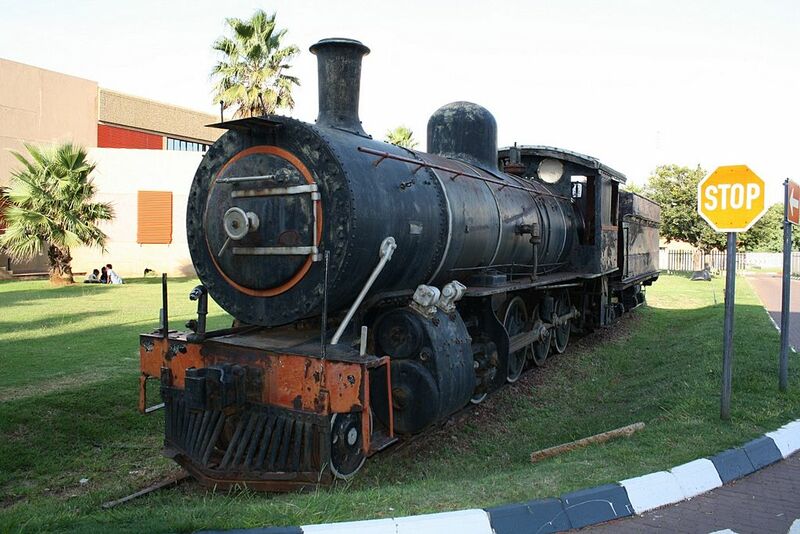 SAR Class 8A no 1127 Sharp, Steward and Co worksno 4863 built 1902 - this 15 July 2012 image courtesy of Gert Beetge. 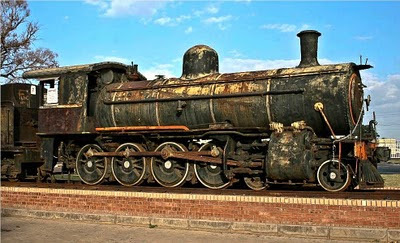 The locomotive has been restored cosmetically by these generous firms. 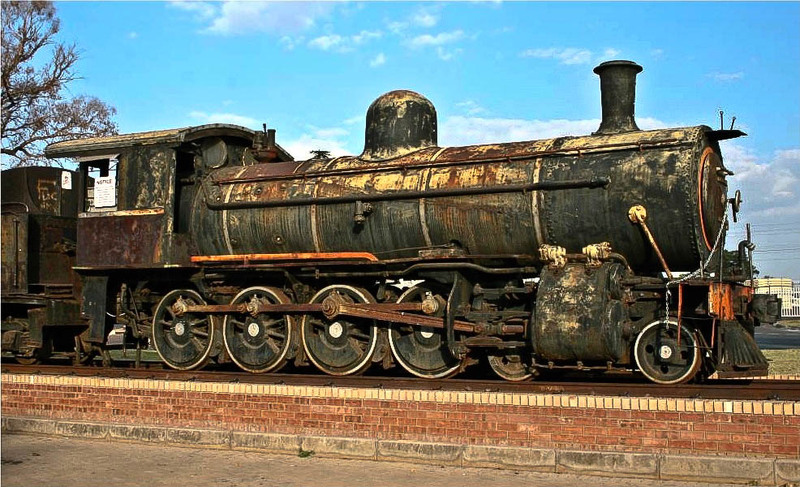 A monument to our past - Looking nice again after many years of neglect. 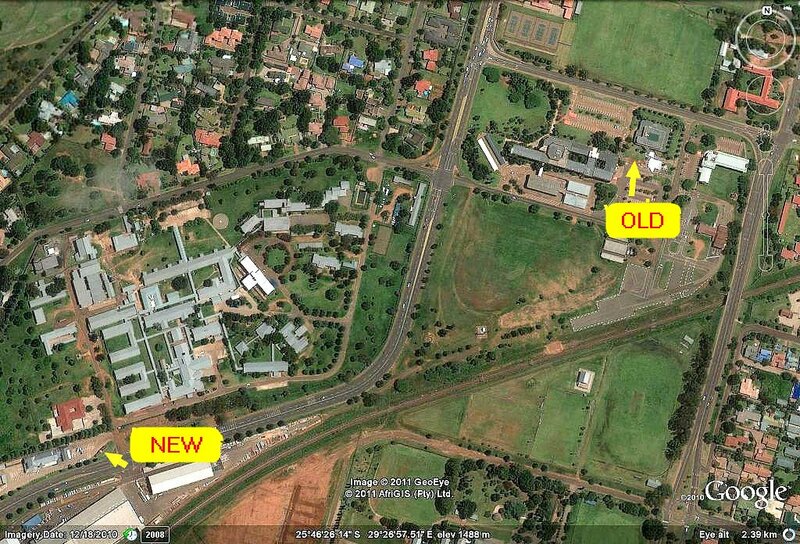 This 15 July 2012 image courtesy of Gert Beetge. 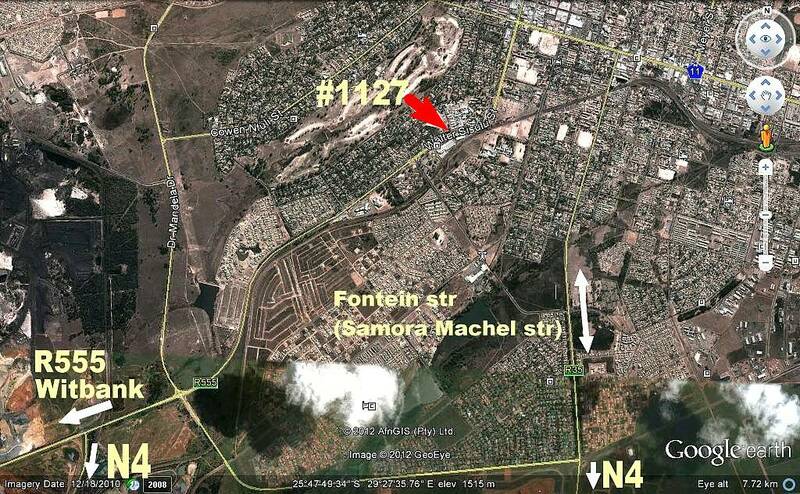 This 15 July 2012 image courtesy of Gert Beetge. 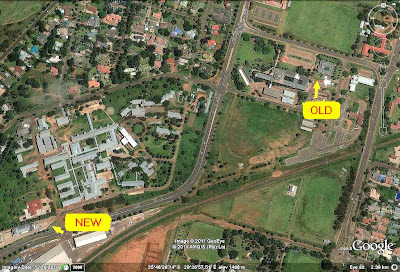 15 July 2012 image courtesy of Gert Beetge. 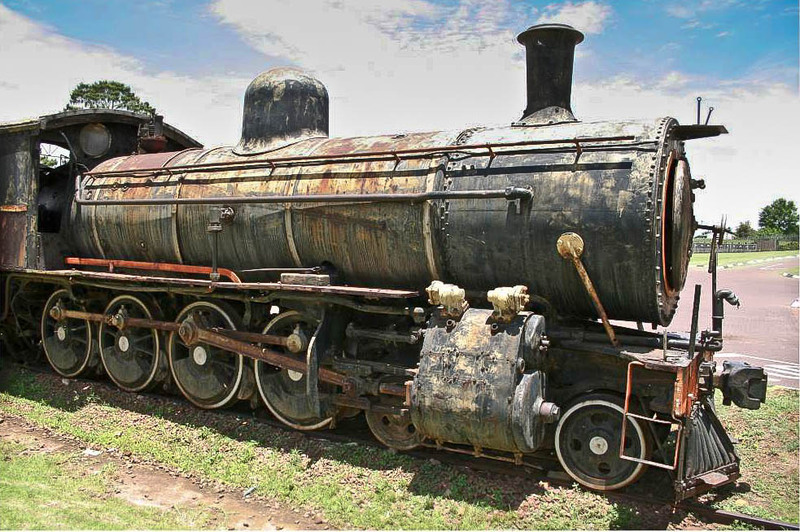 Earliest photo of this locomotive as taken by Richard Niven in 1995. 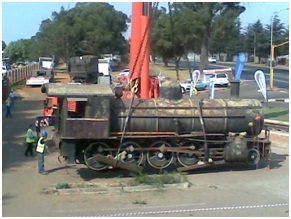 By August 2011 I was not sure if the locomotive, donated by the Transnet Heritage Foundation to Middelburg municipality, was still plinthed at the municipal offices - even though the picture above appeared on their main webpage slideshow - Google Earth seemed to have no record of the engine, and I feared that it was likely to have been relocated or even scrapped? 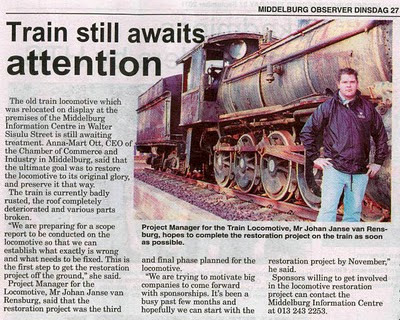 Fortunately Gert Beetge came to my rescue with good news: The locomotive had been relocated a short distance away to a more visible position along Walter Sisulu Street, and plans are underway to restore the locomotive cosmetically - hopefully around November 2011 - if sponsors can be found soon enough. 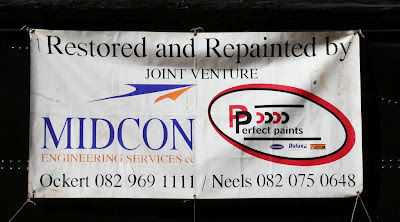 Still plinthed at the Middelburg Civic Centre - 14 Nov 2009 photo: Gert Beetge. 14 Nov 2009 photo: Gert Beetge. This Google Earth capture shows the old location of the plinth at the Municipality and also the new plinth at the Middelburg Information Centre along Walter Sisulu Street. 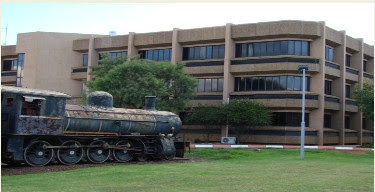 Plinth at Middelburg Information Centre along Walter Sisulu Street. 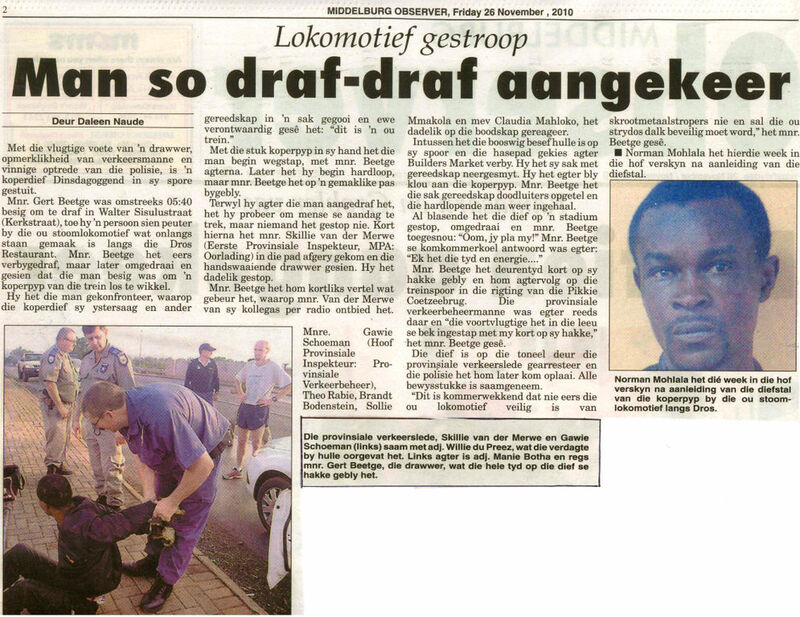 This article (in Afrikaans) printed in the MIDDELBURG OBSERVER, tells how Gert Beetge, while doing an early morning jog, was instrumental in the arrest of a scrap metal thieve who was caught red-handed collecting copper pipe off the old locomotive. His excuse? "It's just an old Train!" 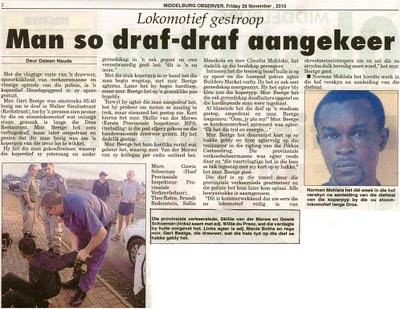 This happened in November 2010. Latest status as reported in the MIDDELBURG OBSERVER dated 27 Sept 2011. The locomotive dates from 1902, however the boiler plate shows that this boiler had been in use since 1929, and that the last boiler certificate expired on 8 June 1973. 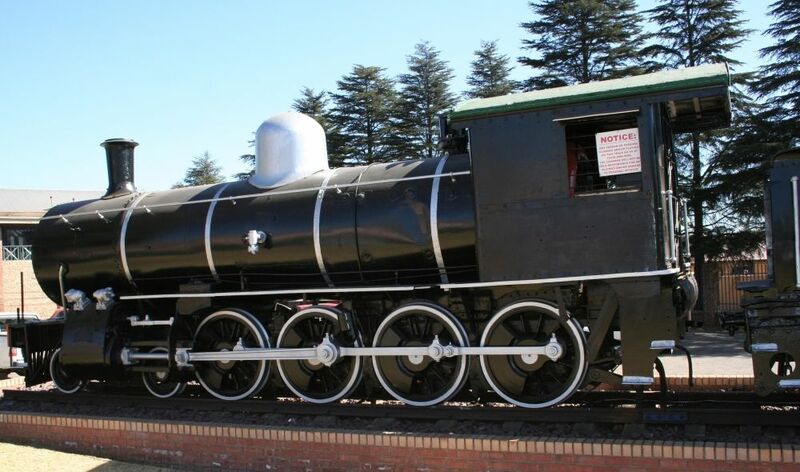 A sister engine #1097 is plinthed at Potchefstroom station. 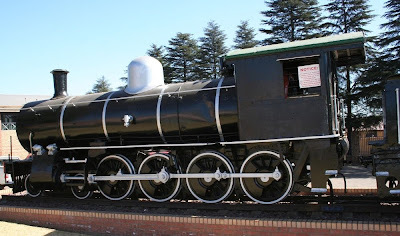 SAR Class 8 4-8-0 "Cape 8th"
The Cape Government Railways (CGR) 8th class was conceived as a mixed-traffic locomotive equally suitable for goods or passenger work. They were designed by H.M. Beatty and had larger driving wheels than the 7th class. 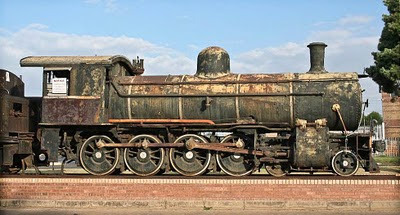 The 4-8-0 examples were actually based on a pair of 2-8-0 engines imported by the CGR in 1901 from the American Locomotive Co, which later became the SAR Class 8X. 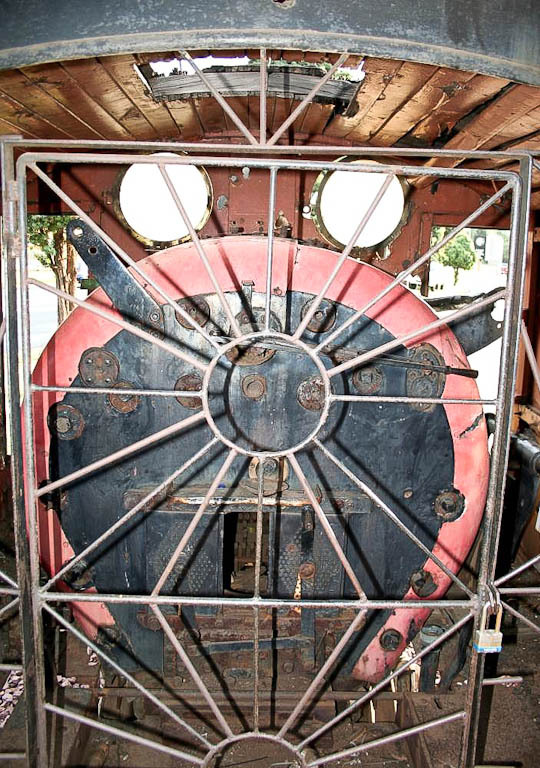 While they retained the bar frames of these engines, Beatty added a bogie to improve the ride. 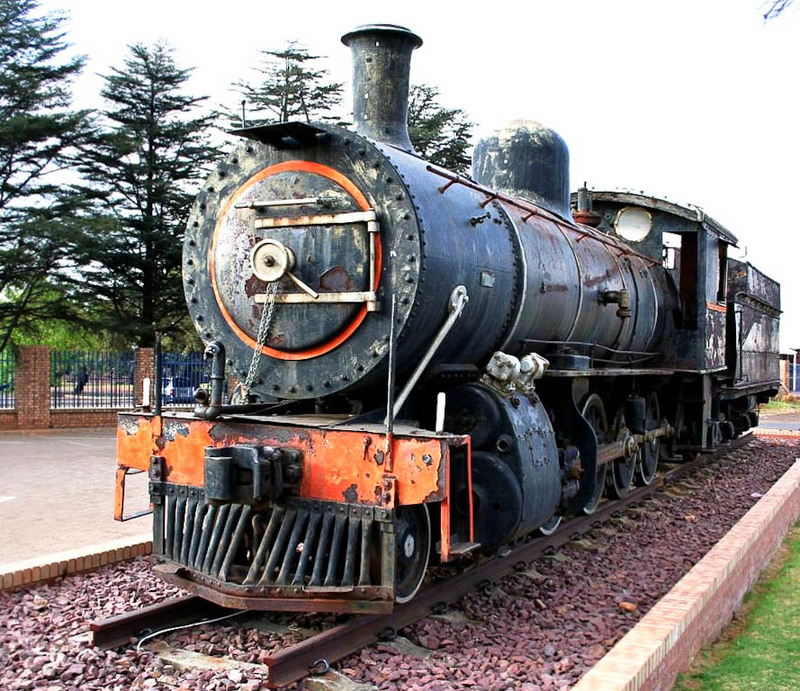 The first order from the CGR consisted of 23 locomotives delivered by Neilson, Reid and Co in 1902 and 1903 and were placed in service throughout the colony. They became SAR class 8. 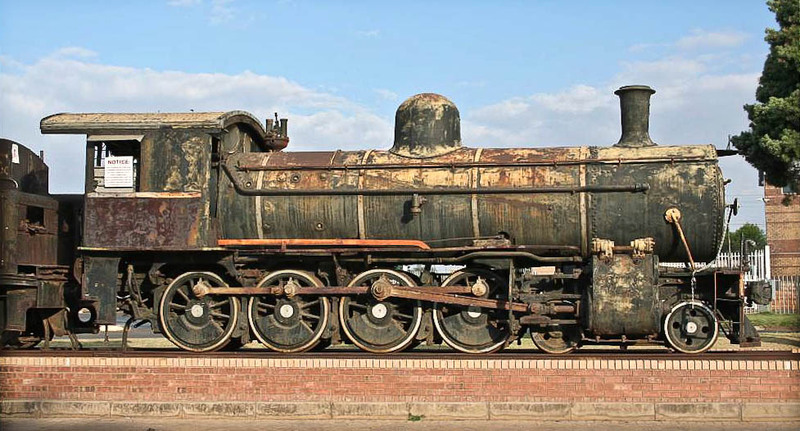 In 1902, 40 engines of the CGR 8th-class design were ordered by the Imperial Military Railway from Neilson, Reid and Co, and Sharp, Stewart and Co. These became the 8L-1 on the CSAR and later Class 8A on the SAR. 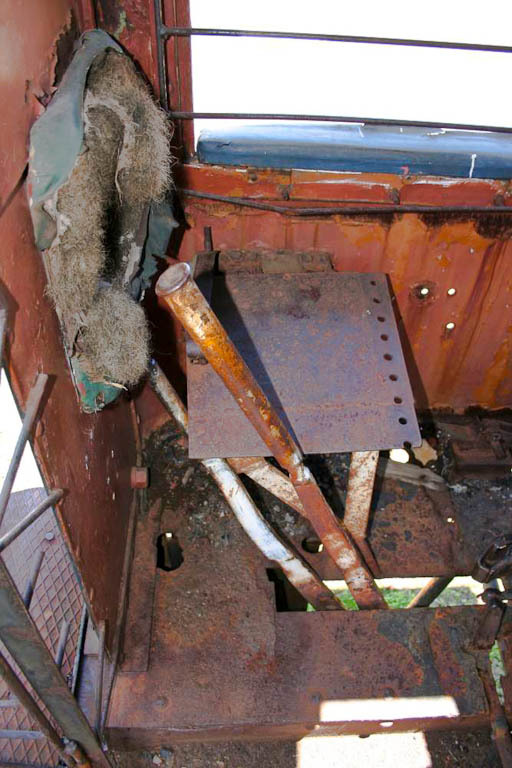 Under AG Watson, chief mechanical engineer of the SAR during 1929-35, many of the front ends of the 8th classes were redesigned, using piston instead of slide valves, and the engines were superheated. 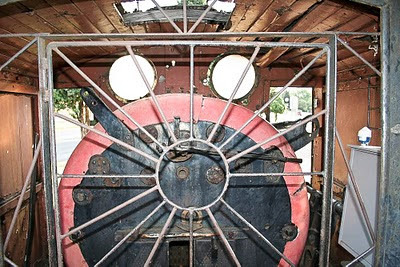 The 8th class had fine engines, and saw service on every system of the SAR, becoming the mainstay of motive power on many branch lines in the 1920s. They ended their days on shunting service until 1972 when all were withdrawn. 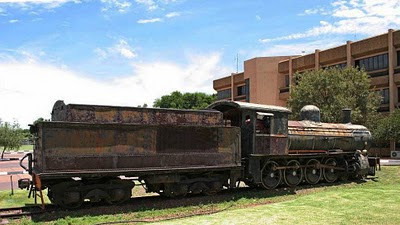 ex-CSAR No's 401 - 440. 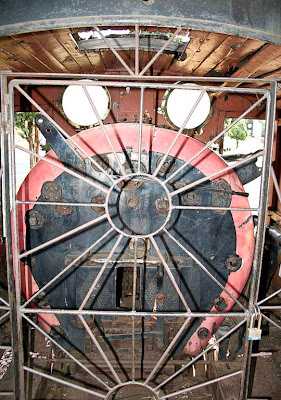 Driving Wheel Diameter...: 4 ft. 0 in. 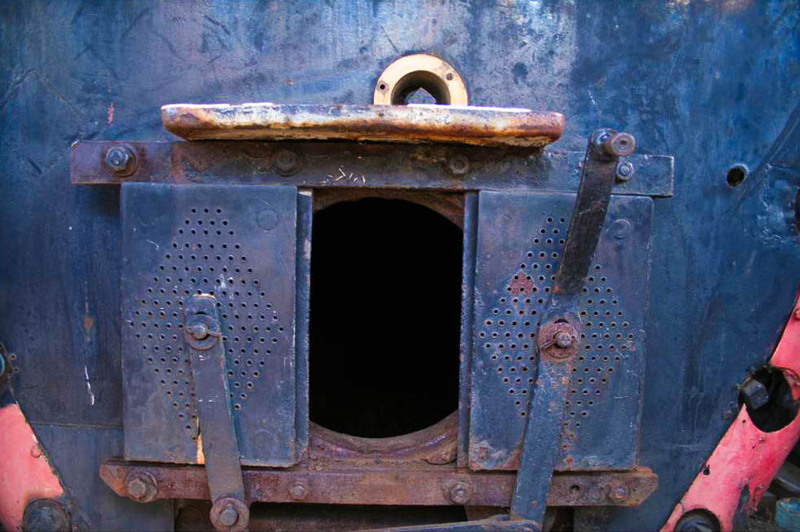 Cylinders................: 2 x 18½ in. x 24 in. 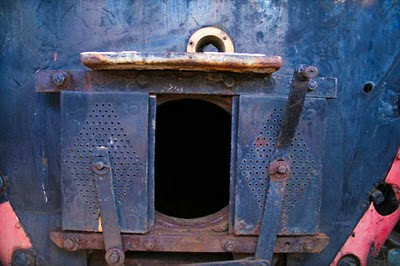 Boiler Pressure..........: 180 lbs per square in. Grate Size...............: 21.3 square ft. Length...................: 54 ft. 5 in. 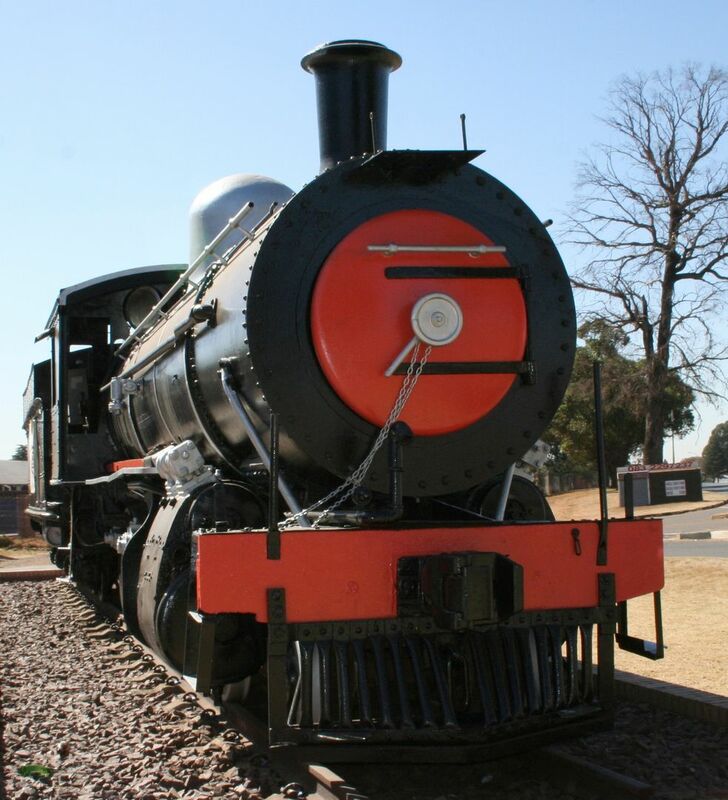 The famous ‘Julieo’ alias Eleven Twenty Seven train was donated to Middelburg in 1972 where she rested for 26 years at Steve Twshete Local Municipality in Middelburg Mpumalanga. 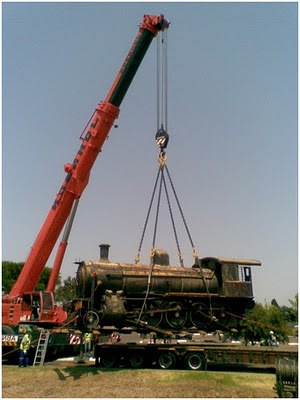 Then the imaginative BIG move started for this 61 ton Locomotive. 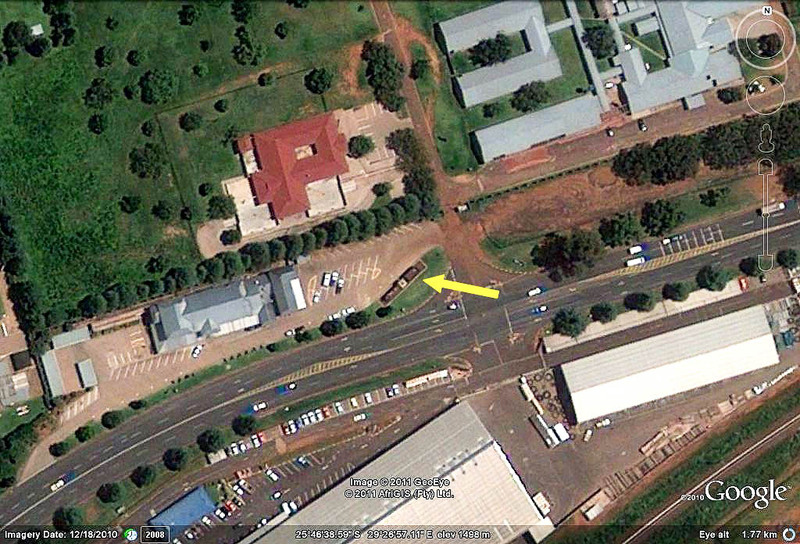 Months of planning to get the timing 100% for this move to the Busmid Building at the Chamber of Commerce. 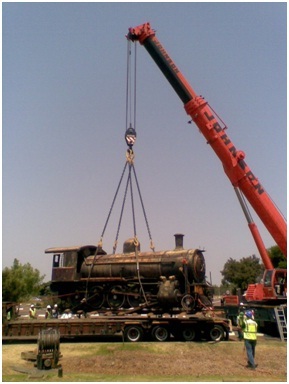 The big day was on the 6 October 2010, the town was filled with Riggers, Safety Managers, Managers CEO’s of the sponsors, 71 ton Crane, and Lowbed Trucks, it seemed like Middelburg was moving. The moving action took a full 12 hours to complete. Julieo had to be treated for some serious ‘einas’ that happened as a result of a lack of maintenance over the 26 years at the municipality. Nothing ever runs smoothly. 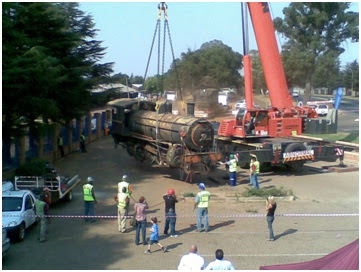 During the lifting process to place Julieo on her new laid tracks at the Busmid Building in front of Dros, the crane had to put her down because the ground was unstable and the huge crane’s feet started sinking into the ground. 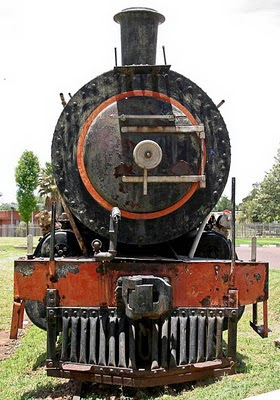 At 18h18 Julieo was placed on her new honored tracks for a well deserved rest and renovation that will be driven by the Middelburg Rotarians. 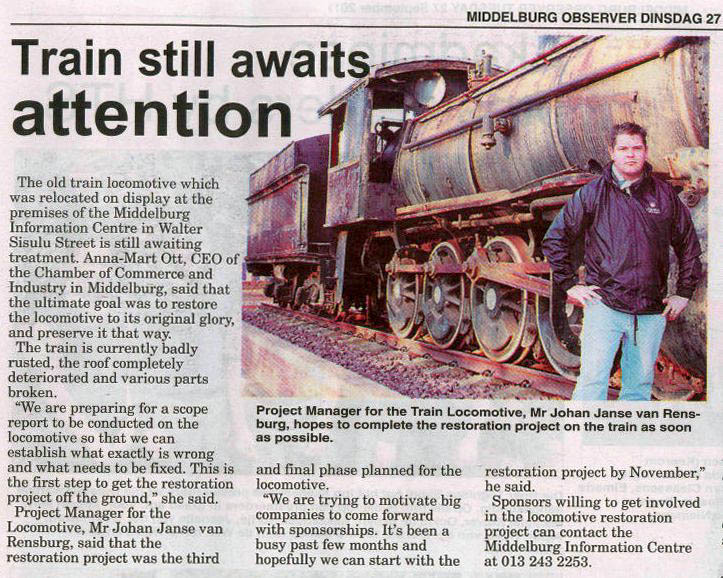 Steve Tshwete Local Municipality-Steam Locomotive- Escorting the low beds and controlling of traffic, Johan Janse van Rensburg/ Marius Brits-Project Manager/Planning, Builders Market-Building material, Siyakana Construction- Building, Quick Step-Concrete for foundation, Van Wettens-Transport, Johan Lee Bouers- Filling Sand, Ammeka Industries-Lifting equip. 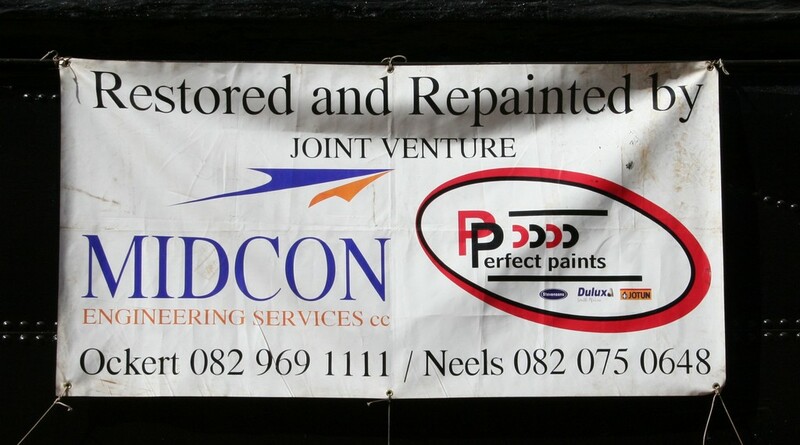 testing, Midplan Vervoer/Cemsquared/Hytec- Filling Sand, Columbus Stainless-Lifting Equipment/manpower, EPA- Survey of new area, Kanonkop Hardware-Barrier tape and Vests, F&K Engineering-Palisade modifications /loco, ME Industries-Transport of lifting Equip., Johnson Crane Hire-Crane, Schalk Smit-Labour, Sakkie Swart- Rigging Supervisor, Kanhym Estates-Gazebo, Little Elephant-Sound System, Dros- Parking Area and Umbrella's, Stimela Rail-Rails & Gravel, Executive Risk Control- Security Guards, Optimum Coal-Rigging equipment, Talisman-Compactors. 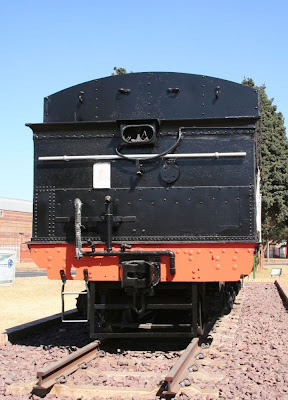 One correction: This loco was NOT donated by the Transnet Heritage Foundation! 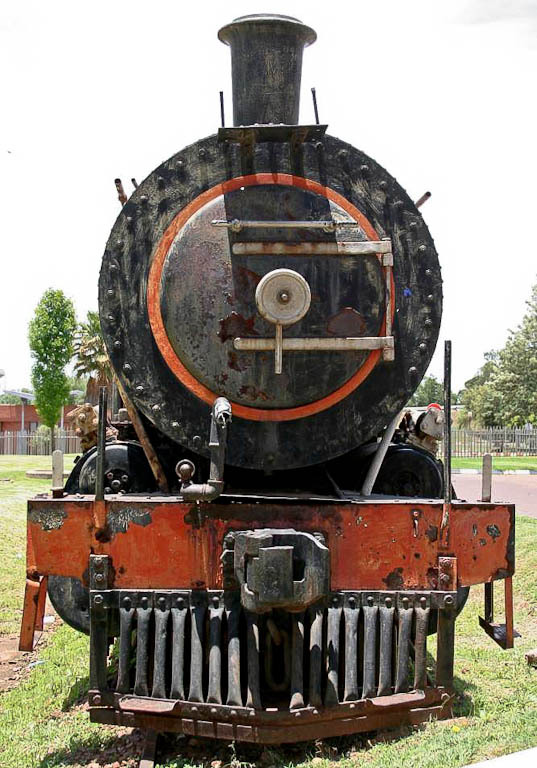 It was donated by the previous S A Railway Museum, Johannesburg. 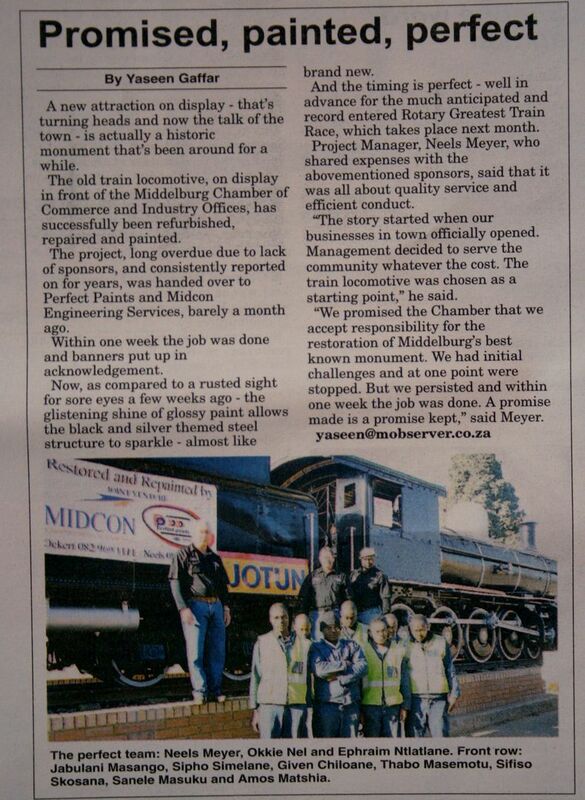 My chief Jan Coffee arranged for the donation to Middleburg. The THF didn't exist in 1972! 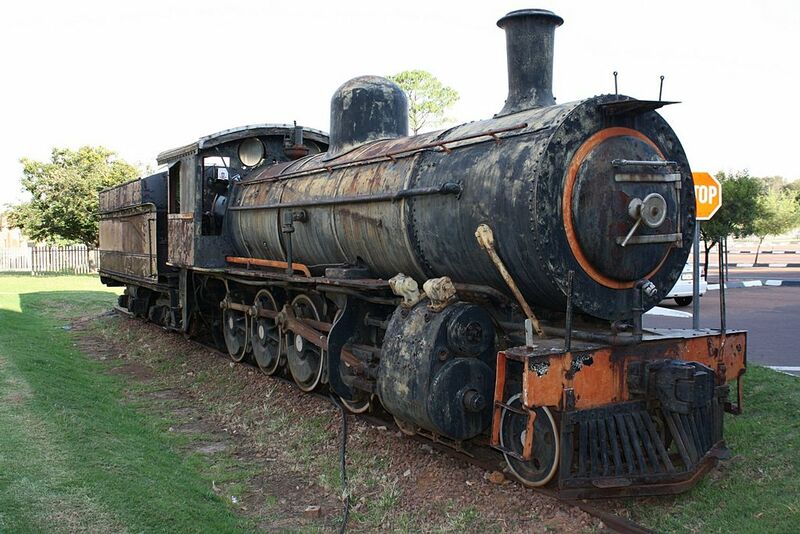 Les Pivnic retired Assistant Curator - S A Railway Museum.